March is National Women’s History Month. In keeping with the monthly theme, the current library display focuses on famous women in American History. Who do you think is included in the select few? See for yourself at the Oro Valley Public Library. 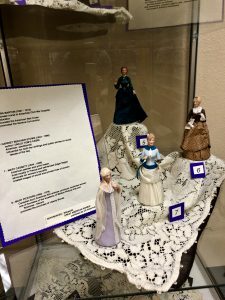 The lovely porcelains are limited numbered editions produced by the United States Historical Society and donated to OVHS by the Oro Valley Public Library. 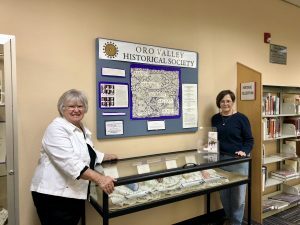 Thank you to Sue and Peg for organizing interesting library displays each month with items from Oro Valley Historical Society’s Collections. The Society receives many compliments on the exhibits. Don’t miss this one! The weather is warmer and there’s much to enjoy outdoors! Make this the Saturday you stop by Steam Pump Ranch. The Oro Valley Historical Society is ready and waiting to give you a tour of the Pusch House (PH) with new displays. The Heritage Garden has hands-on demonstrations and will be in full bloom! Tours of Pusch House take place from 9 to Noon. 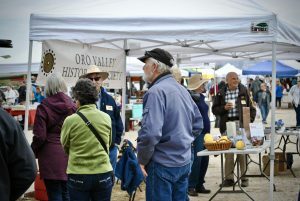 Stay and enjoy the outdoor entertainment ’til 1 p.m.
Be sure you stop by the OVHS tent to purchase a Jim Click Millions for Tucson Raffle ticket. This is your chance to win a 2019 Jeep Cherokee Summit, two round-trip, first-class airline tickets to ANYWHERE in the world or $5000 in cash! 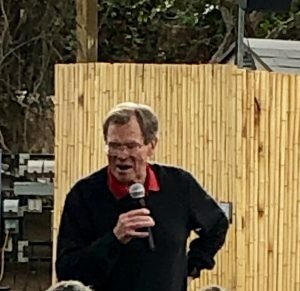 OVHS through the generosity of Jim Click will get to keep ALL the proceeds from the raffle tickets we sell. A great way to support OVHS and your community by purchasing a $25 ticket AND you get an opportunity to win a great prize! Don’t forget the upcoming meeting! Thursday, February 28 at 3:00 is the monthly board meeting BUT all are invited to attend! Meet at Pusch Ranch House at Steam Pump Ranch with ideas, enthusiasm and a volunteer spirit! We hope you’ll be there so you can help plan our future.